Most recognized as the voice of Krillin on the wildly popular, animated TV show Dragonball Z and as an illustrator for, arguably, the most famous, independently published comic book series Elfquest. Sonny Strait has over 20 years of experience in the arts. 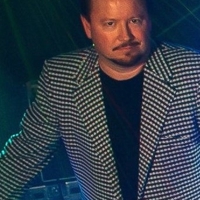 As a voice actor, Sonny is considered to be one of the most recognized voice actors in the business.Besides Dragonball Z’s Krillin he has worked on many popular animated characters including Maes Hughes from Full Metal Alchemist, Usopp from One Piece and Cartoon Network’s laid back, robot host Toonami Tom. He has also worked as a writer and director on several TV series including Dragonball Z, Case Closed and Lupin the Third. As a comic book artist he has 17 published works to date including his débuted self-published series Mr. Average featured in The Comics Journal and Elfquest which was published by both WARP Graphics and DC Comics. Sonny is considered one of the top Elfquest artists from its over 30 year history. In 2007 Sonny wrote and illustrated a graphic novel about a reluctant punk rock, faerie princess named Goat. The book, called We Shadows, was published by Tokyopop and was nominated by The American Library Association for Best Graphic Novel in 2008. The book received glowing reviews in many trade magazines including Publishers Weekly, Newtype, Play and Anime Insider. Currently Sonny is reprising his roles in both the new Dragonball Z and Full Metal Alchemist series and plays the title role in the Xbox game S’plosion Man. Sonny also began illustrating Marvel Comic’s sketch cards recently for Rittenhouse and fetches ebay prices up to $800 per card for his depictions of Marvel’s superheroes.